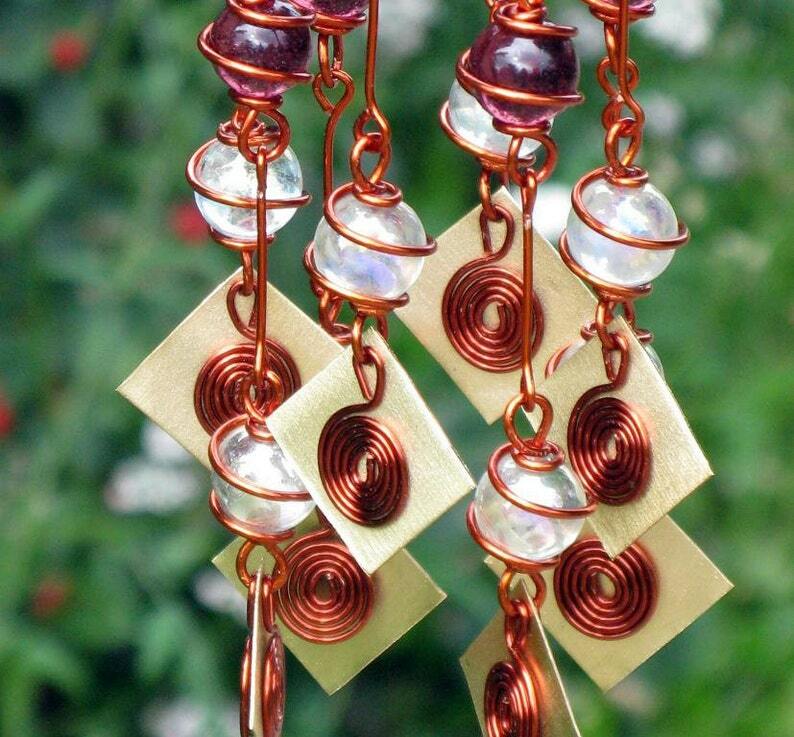 With 56 red, orange, yellow, green, blue, amethyst and clear glass marble prisms, each hand-wrapped in solid copper wire with an enamel finish (to retard oxidation), this rainbow will sparkle and delight. For added shine, this piece is finished with 8 squares of shimmering brass, accented with copper swirls. Brass, an alloy of copper and zinc, is seen a symbol of defensive magic as in to reflect negative energies back towards the original sender. Copper is the traditional gift for the seventh anniversary and because of it's association with the planet Venus, is seen as being representative of the feminine. Overall width of this piece is 2.5" and the length is 24.5" from the top of it's copper hook to the tip of it's bottom brass square.